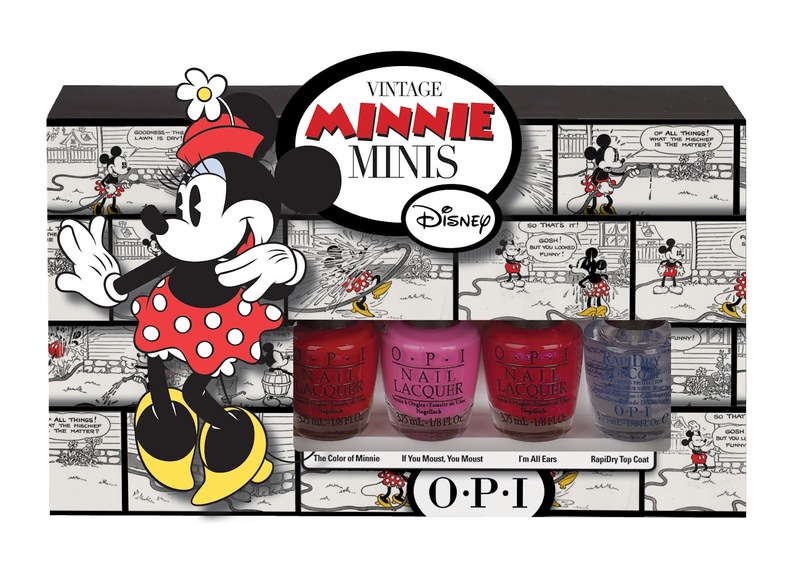 OPI Vintage Minnie Mouse! Vintage being the key word for me, I still love old cartoons! Nothin’ Mousie ‘bout It Don’t squeak it – SHOUT IT! This confetti light pink is tops! I’m All Ears Tell me how much you love this magenta shimmer. If You Moust You Moust You gotta pink what you gotta pink. And today I have 3 of them to share with you girls! I’m All Ears is a bold pink shimmer with a very saturated pink leaning red base and glass flecked blue hued pink particles. I'm not such a fan of cool shimmers in my pinks but this one works somehow. It's very sparkly and uilds up to full opacity in two coats. It's also very shinny and didn't require topcoat. The Color of Minnie is a beautiful blue based red infused with silver shimmer. I don't know why that is but I've been loving red more and more lately. I used to only wear all of these exciting and unusal colors and avoid red because it made me feel too conformistic but I think I outgrew that. Now I do love a nice red! 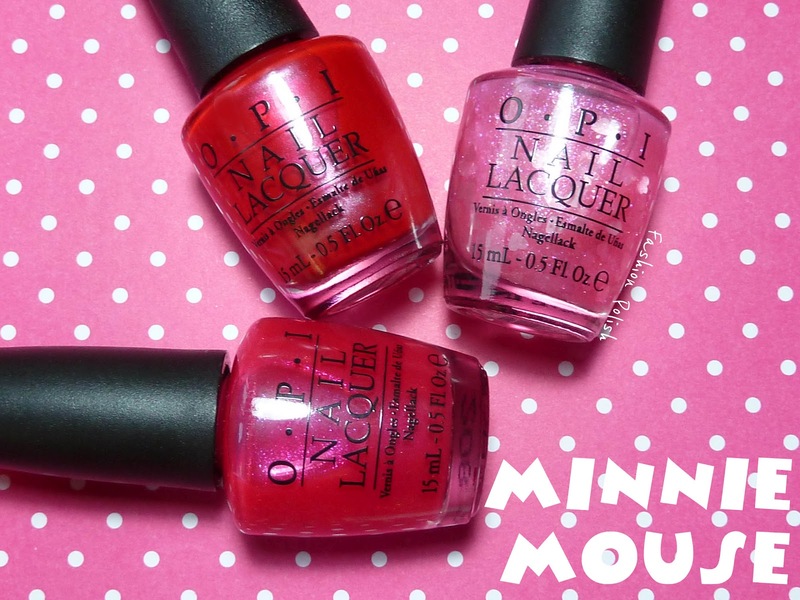 The Color of Minnie was very even and extremely pigmented with a truly amazing formula. This is two coats with topcoat. Nothin’ Mousie ‘bout It is a sheer blue based pink with tons of big gold and hot pink shimmer flecks and baby pink heart shaped glitters. It's very girly and the heart glitters definitely aren't easy to catch with the brush but the overall effect is really nice. I used one coat plus topcoat below. 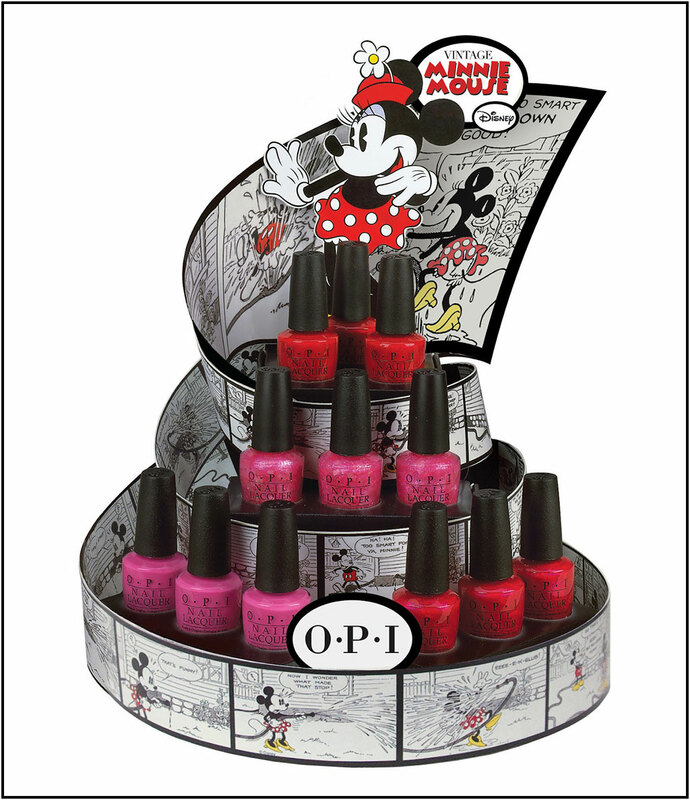 As with all OPI nail lacquers, Vintage Minnie Mouse by OPI contains no DBP, Toluene, or Formaldehyde, and features OPI’s exclusive ProWide™ Brush for the ultimate in application.This limited edition promotion will be available beginning June 2012 at professional salons, including Beauty Brands, Beauty First, Chatters, Dillard’s, JCPenney, Pure Beauty, Regis, Trade Secret, and ULTA, for $8.50 ($9.95 CAN) suggested retail for each Nail Lacquer. 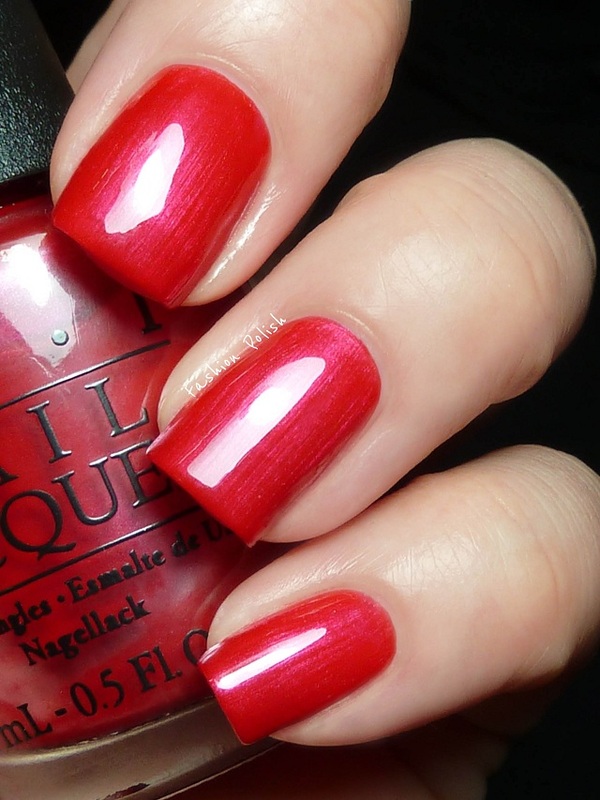 same feeling as you concerning red polishes! I'll probably be buying the mini set because it's too cute to pass it! I'm not normally a big pink fan but these are really nice actually especially I'm all Ears, quite pretty. I wish we had those displays over here cos they are so cute! I loved all of them but those damned hearts were so hard to fish out of the bottle. The effect was nice though. I layered it over light blue and it created a purplish tint. I like the look of nothin mousie about it but I have a heart polish from Nicole by OPI and that was hard to use so I can imagine that one is too. What gorgeous polish! I love the ornament of precious hearts! So glad to see they'll be at Chatters, I was wondering if they would be! As soon as I saw this collection, I scooped it up. I am gaga for all four colors. I was so excited about this collection until I saw the glitter....it should have mouse ear glitter in it! I absolutely love the colors--they look so pretty on you! But it reminds me alot of the Nice Stems collection, which I have (and just tried out). Any comparison?